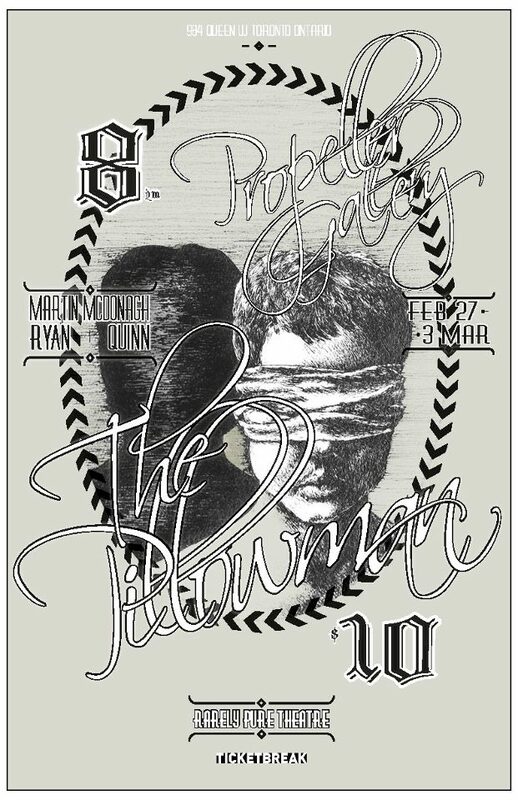 I sat down with Ryan Quinn and David DiFrancesco, director and actor of Rarely Pure Theatre’s The Pillowman running from Wednesday February 27th to Sunday March 3rd at the Propeller Gallery. Over hot chocolate and croissants, we talk about the show, get to know these gentlemen, discuss the benefit of strong shows in small spaces and explore the challenges and benefits when working with those you know so well. We even get a little playlist to listen to before the show! Hallie Seline: Tell me a little bit about Rarely Pure Theatre and something that we might not know about the company? David DiFrancesco: Rarely Pure Theatre was started around last January by a group of people from the University of Windsor. Essentially, its function is to be a hub that artists can come to when they want to put on work and Rarely Pure will help them do it. It doesn’t necessarily have to be people we have worked with either. When someone has an idea for a show they can just throw it at us and we’ll work on all of the ins and outs to help put it on. Ryan Quinn: This is our second production with Rarely Pure Theatre and as for something you might not know, we are now doing a dinner theatre in Erin Ontario! HS: Tell me about that. DD: We are going up to Erin Ontario, which is just outside of Brampton to do two performances of The Pillowman before our Toronto run. It’s going to be a dinner theatre feel at an inn location. It’s a small town that doesn’t get a lot of theatre, so they are very excited to have us up there and if all goes well, it may be something that we can continue doing with Rarely Pure. 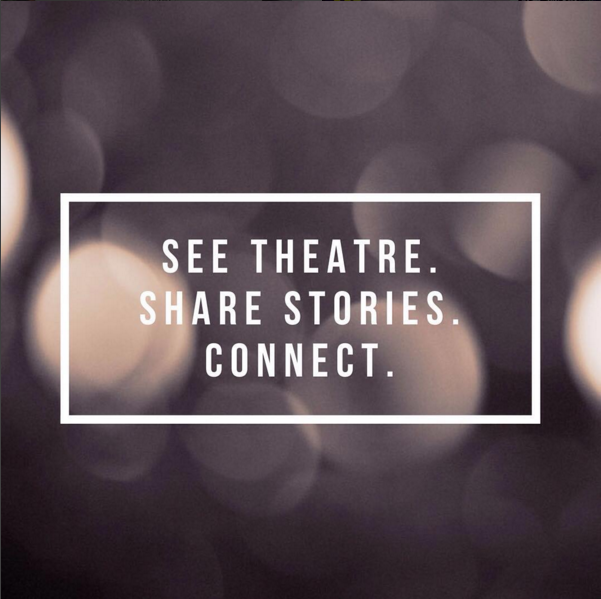 RQ: Yeah, and I think what’s interesting is that with a lot of dinner theatre, the dinner becomes part of the theatre, whereas this is going to be more like you sit down for dinner then after you see a show. It will definitely be interesting to gauge the reactions of our dinner theatre audience who may think they are coming for a certain kind of theatre and will be getting, I believe, something quite different and a little more hard-hitting and real. DD: The Pillowman has some dark themes to say the least. RQ: Oh yeah. Reading The Pillowman, at times, still makes me feel uncomfortable but I believe at its heart, it has a very beautiful story. That’s what captures me every time. I read it, I get caught up in it, I feel disgusted with what the characters do and with what they say, but at the end it’s rewarding and actually kind of heartwarming. HS: What is one thing that we might not know about you? DD: Well, this is Ryan’s first full directorial show that he’s taking up all on his own, which is really exciting. RQ: Last year I had the chance to work with Lee Wilson, assistant directing on The Merry Wives of Windsor up at Theatre By The Bay. This year I really wanted to do some of my own work and then maybe go back to assistant directing and hopefully continue to go back and forth to really develop both skills at once. This has been a really big undertaking but it has been incredibly rewarding so far. RQ: I’ve also started doing a little bit of stand-up comedy. HS: Oh, that’s fun! And what about you, David? We all have a good chuckle about that. HS: We’ll leave David as a Man of Mystery. So, why The Pillowman? RQ: It’s a show we’ve been talking about doing since we were in second-year University. It came up in Scene Study and all of us were completely taken by it. The aspect that I still love about The Pillowman is how it still surprises me. I go through the script and I write things down like ‘Ok, I know the show is about this, and trying to talk about this,’ and then I read it again and I can come out with something completely different. It is a show that poses a lot of questions and doesn’t necessarily assert answers. DD: Because it has been such a fantasy project for us, we never thought that it was actually going to happen. One of our main actors, Davydd Cook (who plays Tupolski), moved to Greece and we just figured it was never going to happen with just the few of us but he sent us a message saying he’d be back for the Christmas holidays and a few months after so we jumped at the opportunity. We just decided that it was now or never. HS: What has been the most interesting or the most challenging aspect about working on this play as an actor, for you David, and as a director, Ryan? DD: I think for me, the most challenging aspect has been finding my character Michal’s mentality. Because the character is slow, having severe mental damage from being beaten by his parents for several years, it has been interesting and a challenge trying to get into his mindset, figuring out where his thoughts are coming from and really attempting to speak through the truth of the character. RQ: For me, it has been working with people who I know so well and their processes, which I also know so well, and still making sure they challenge each other. It can be tempting to say that something is good enough or to say ‘that’s what I thought you would bring to the table’. I needed to make sure that we kept the rehearsal process fresh and challenging in hopes of achieving the best from everyone involved. And they’re so good at that, leaving the years of experience that they have with each other at the door, getting in the space and really trying to affect one another. For something that I thought would be a bigger challenge, it has turned out to be a great benefit in many ways. We can regroup quicker and dive into the material, working relationships a lot more smoothly without the reserve there is at times when actors are meeting for the first time. DD: I think that is the most exciting part about it too. Getting to work with these guys on our own project. We’ve never gotten to work just the five of us outside of school on something we were all really passionate about. It’s great. HS: What should people hope to expect when coming to see The Pillowman? RQ: Well, it’s at the Propeller Gallery (Queen Street West & Ossington), which is a small, intimate space and it is a very emotionally and physically violent play, so I think that audiences can expect to be taken for quite the ride and really feel the heart of this story. Some of the best shows that I have seen in Toronto have been in small, intimate spaces with shows that pull the audience in and make them feel complicit. I think that’s really what we’re going to do with this show – make the audience question what they’re watching, question why they’re enjoying it and question the nature of violence in theatre or in art. DD: We have commissioned a couple of artists who have devised paintings for our play and they will be showcased around the gallery for the week, as it still needs to function as a gallery space. I think with all of the elements that we’ve employed, from the actors, to the projections we’ll be utilizing throughout the show, to the images showcased in the gallery, it will make for a very overwhelming show, to say the least. HS: If someone from the audience could have a playlist to listen to before coming to see The Pillowman, what would you recommend they include on it? RQ: This is the best question. This is a really great album of ambient music, which is also very slow and droning. They are a group of improvisational musicians from Montreal who locked themselves in a house and starved themselves until they could write an entire album. It is the most raw, human thing I have ever heard because they just wanted to get it out there and to get out of the house, while still working to make something they could be proud of. It’s a little sadistic but it really made me think of the play. It’s about just looking back on life and not really being able to move forward, which is a lot of what my character deals with in the show. HS: Now a little word association, for fun. DD: The seats for the show are very limited because we’re in a small art gallery and we can only fit approximately forty people, so there’s the possibility that there won’t be tickets available at the door. Advanced tickets are available at www.ticketbreak.com. 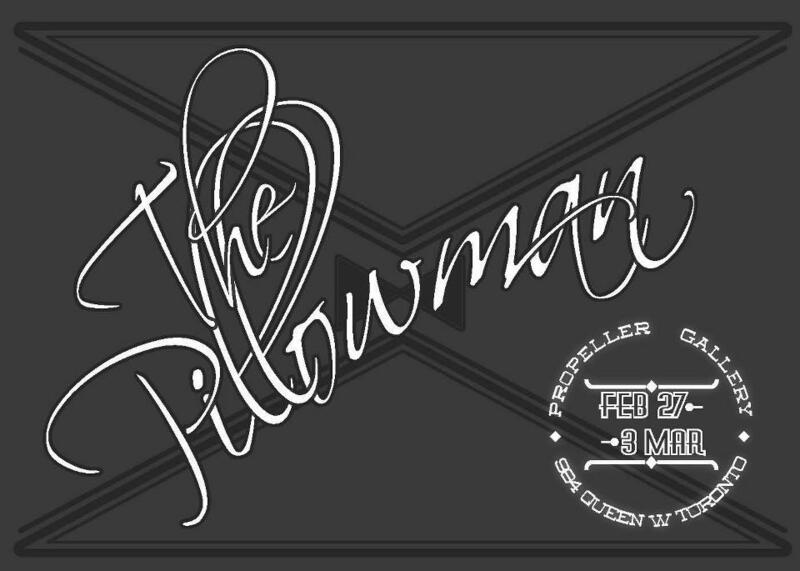 Search The Pillowman. Other than that, I’m just very excited for this show and we can’t wait to put it out there for you all. RQ: Yeah, I’m really excited about the show. Every single person that we are working with in design, illustration, music, lighting, is so talented and so ‘on-the-ball’ with this piece. It really blows me away how beautiful the show has become and how much everyone has been able to contribute to our final product. We can’t wait for people to see it. The Pillowman opens tonight until Sunday March 3rd. Breakdown: Katurian the writer stays in and writes stories. That’s it. Brilliant but often grotesque tales, shaped by a twisted childhood experiment conducted by his own parents towards his brother, Michal, heard through the cracks in the wall separating the siblings. Now Katurian has been blindfolded and taken out of his home to face questioning at the hands of two brutal detectives, representatives of an ominous totalitarian state. His stories have put them on the trail of a serial child killer, and several lives hang in the balance as Katurian wrestles with his responsibilities to (and for) his art. Martin McDonagh’s play is a harrowing and blackly funny meditation on the tricky power of words to shape the world.